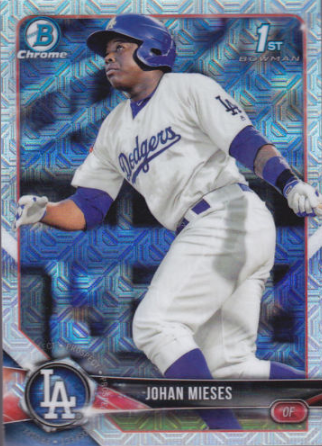 For the second consecutive year Topps has released their Target-exclusive 2018 Bowman Mega Box Chrome Baseball boxes, and below are all of the unique Dodgers' cards found within packs. 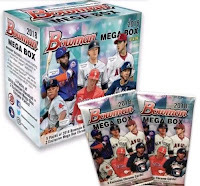 BTW, these boxes will cost you $14.99 and you will get seven packs -- five Bowman retail packs (exactly like the packs released in April) and two exclusive Mega Box Chrome Bowman packs. 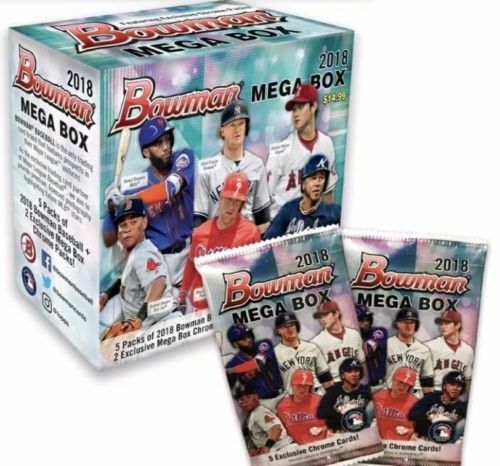 You will notice that the base cards found in the Mega Box Chrome Bowman packs all feature a unique and exclusive Refractor design dubbed "mojo" by many in the hobby. Go here and here for information. 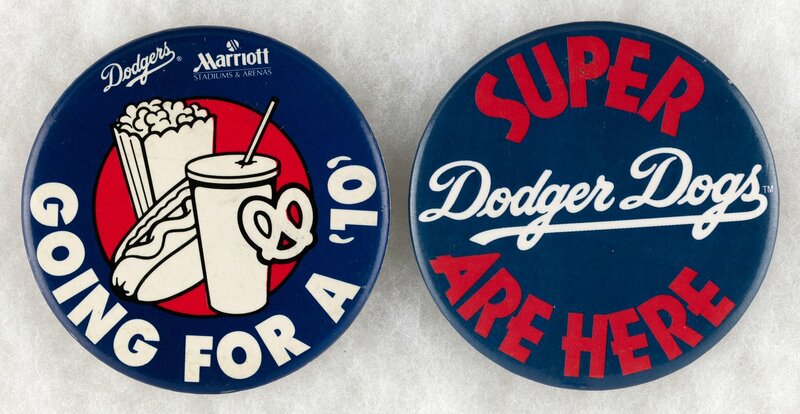 It's a little known fact that I'm a Dodger pin collector. I wouldn't say that it's a main focus of my collecting habits, but I do like to pick something up on a whim from time to time. For the most part, I'm more of a looker than an active buyer. I guess you can say that I strike when a deal is too good to pass up, or when that rare mood comes along that begs me to buy something. So, when Hake's opened up a pin-centric auction featuring the collection of pin aficionado Paul Muchinsky I had to take a look. Now that this auction is over, I thought I would catalog some of the more unique offerings that were available. BTW, I didn't win any of these pins unfortunately. On another note, several of these pins in this post appear to be fairly modern. At the same time, they are rarely ever seen in the hobby. 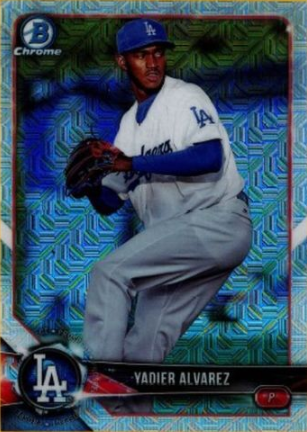 I suspect there's a treasure trove of some of these hiding somewhere -- maybe within stored-away boxes of ex-employees or fans who don't realize their value in the hobby. After taking the rubber game of the series, the Dodgers are 3 1/2 games behind the first-place Rockies, their smallest deficit since April 10, and have won six of their last seven games. 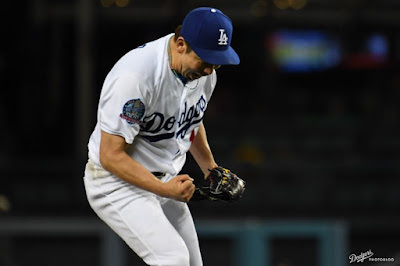 "You can see the energy in the clubhouse," said closer Kenley Jansen, who picked up his 10th save and fourth in the last five days. 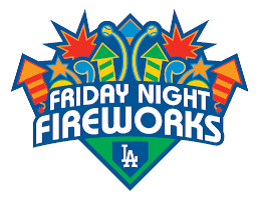 "Everybody's like, we're going to get out of this. Things are finally starting to go our way." 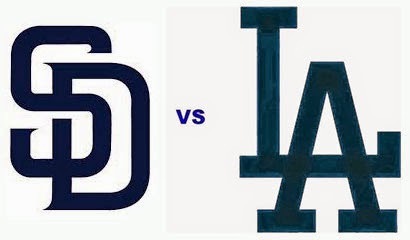 Happy Birthday, Wilmer Font, Billy Otterson, Fred Jacklitsch, Joe Oeschger, Gus Felix, Clancy Smyres, Ellie Rodriguez, Carlos Hernandez, Jason Grabowski, Jae Weong Seo, Brad Penny & Andrew Toles!